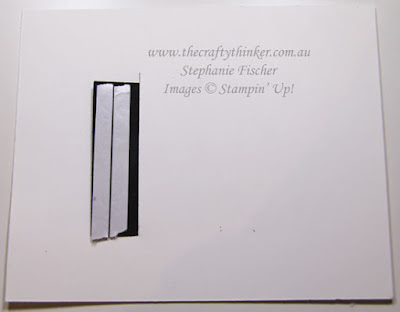 Yesterday, when I CASEd a card by the talented Sarah Fleming for the Crazy Crafters Blog Hop, I turned the card into a gate fold with a pair of earrings inside as a surprise. I promised I would share a tutorial today .... so here it is! This is a CASE of the card I shared yesterday. 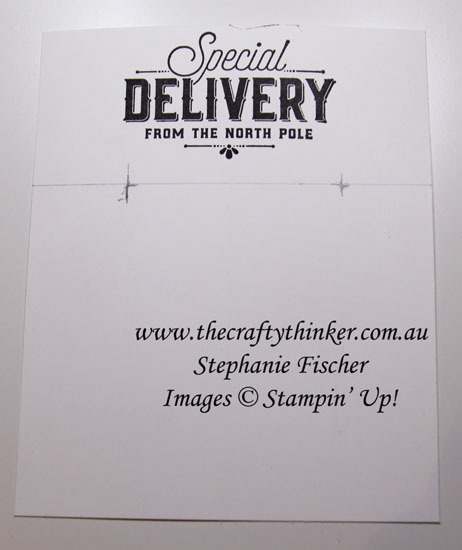 The dimensions are slightly different, as yesterday's card was square. 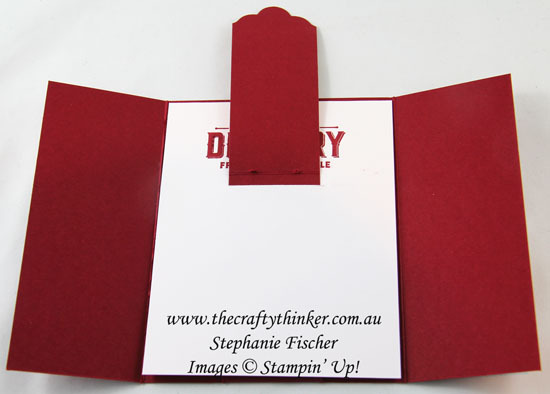 I've also included below some pictures of another earring holder card that I made with red and gold with different dimensions again. 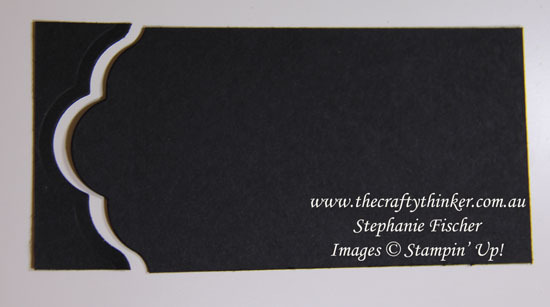 The base card is a gate fold made with Basic Black cardstock cut to 9" x 5.5" and folded at 2.75" and 6.25". 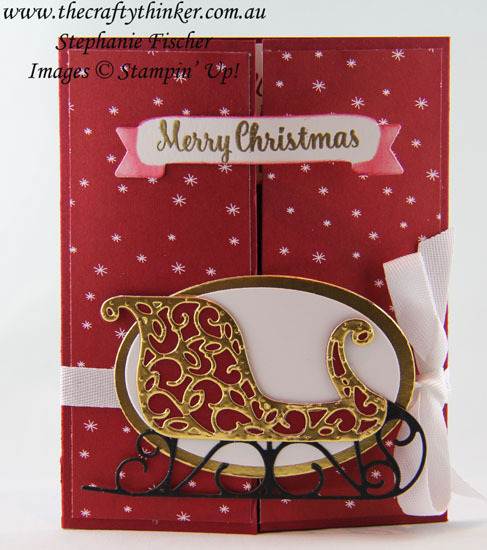 This time I cut a piece of the gorgeous Merry Music Specialty Designer Series Paper for the front and used Silver Foil Sheet for the top layer of the sleigh and for the oval layer. The sponging on the Merry Christmas banner is done with Smoky Slate ink and I used a piece of Black Shimmer Ribbon for the closure. The final touch was some randomly positioned Rhinestone Jewels. Black, white and silver is always so elegant - even at Christmas! 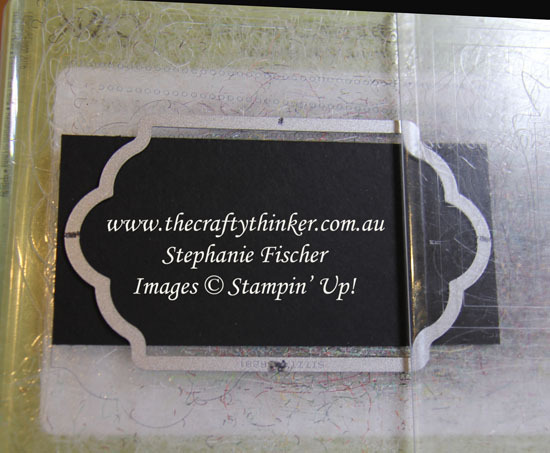 Placing Multipurpose Adhesive Sheet on the back of the Silver Foil Sheet before die cutting makes simple work of adhering the detailed die cut! The inside of the card is decorated with some more of the Merry Music paper. 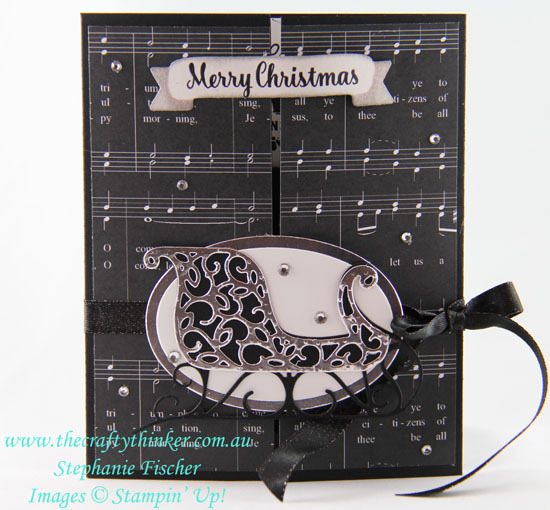 The large greeting is from the Merry Little Labels stamp set and the silver heat embossed sentiment is from the Hang Your Stocking stamp set. To make the earring tag, I cut a piece of Basic Black cardstock to about 3" wide and used one of the Lots of Labels framelits to cut just one end by placing the top cutting plate only over one end of the die. 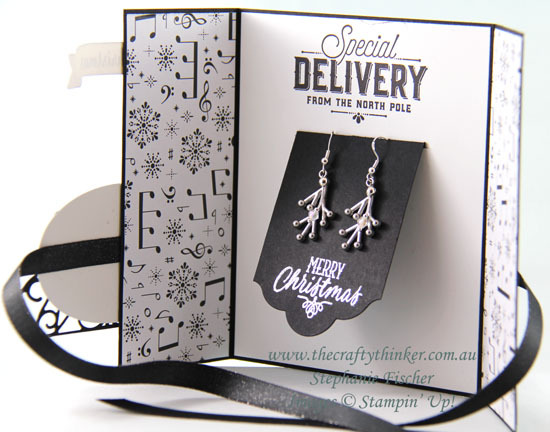 I then heat embossed the greeting and scored across the tag in the place that would best suit the length of the earrings. Once I'd folded on the score line, I used a piercing tool to make two small holes on the score line from which to hang the earrings. I then trimmed off any excess from the top of the tag, leaving myself about a 1/2" flap. 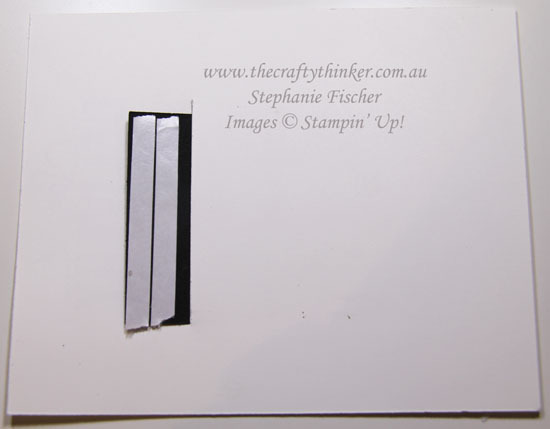 The next step is to make the slot for the earring holder tag. 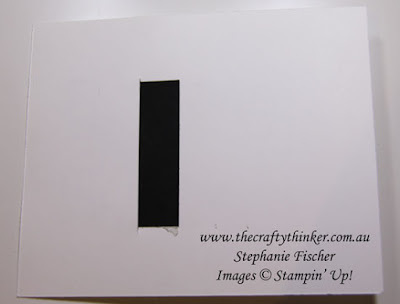 Having stamped the greeting at the top of the card piece (cut to 5 3/8" x 4 3/8"), I drew a light pencil line to show me where I wanted to cut the slot using the tag as a guide. I then used my Stampin' Trimmer to cut the slot, making it a teeny bit larger than the tag to make it easier to feed the tag through the slot from the front. Place glue (I used strips here to make it easier to photograph the positioning of the adhesive) on the under side of the tag at the back. Check that the tag is positioned correctly at the front (straight and with the little holes accessible) and then press down to adhere. The finished size of this red and gold version is 5" x 4". I used Whisper White Classic Weave ribbon for the closure. Thank you for visiting. I welcome your comments.